Dear Reader we know soil is very heterogeneous materials; they may change properties both in horizontal and vertical direction and may sometimes be very erratic. We have already known that raft foundation reduces settlement within the structure and foundation. When settlement is the problem, we always concern about compressible soil. The soil profile may have compressible lenses and often the strata are not parallel. It is often difficult to identify a layer stratified in known identical properties, which produce complexity to estimate future foundation settlement with logical accuracy. If individual footings are constructed on these types of soil profile, they will definitely undergo significantly varying settlement to cause intolerable differential settlement resulting damage to structure. When we go for raft foundation, the differential settlement obviously become low but total settlement is still great headache to engineers. Now consider soil profile having high clay content having low permeability to dissipate excess pore water pressure. The foundation load provides excess pressure (in excess of its overburden pressure) and the dissipation takes time; we call this process consolidation. Besides clay soil there have other types of soft and compressible soil that renders us same problem of settlement. We have discussed different types of compressible soil in our previous posts. You can read this. So, main problem is exerted extra pressure on soil stratum. If we can reduce this pressure the settlement will be reduced and if we can nullify the pressure no settlement will be observed. Now question is how to construct foundation without exerting pressure. 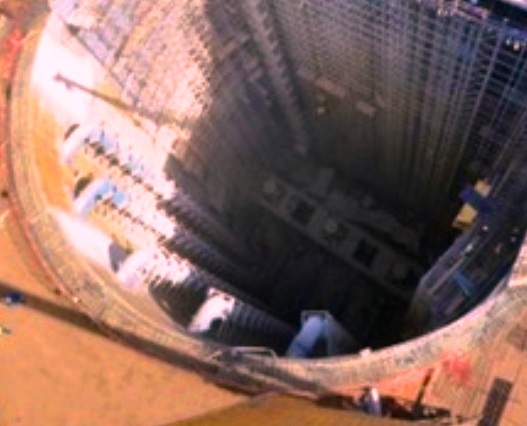 It is possible when a building have basement to such depth that the weight of building is equal to removed soil mass. Thus no extra stress is exerted or no changes of pressure within pores of soil to result excess pore water pressure (for clayey soil) or change in structure of soil grains under the basement which facilitate to reduce settlement beneath raft foundation. Now is it possible to place foundation to such depth? The answer is possible but very difficult. 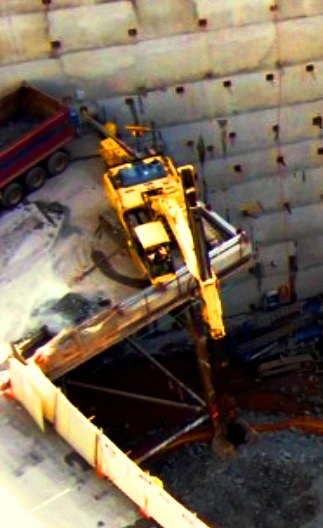 There have many instances of accidents during excavation and protecting the sides of excavation. Especially in rainy season this becomes a great challenge for engineers. Thus floating raft foundation provides us a way to support structure which may not be possible by other methods. On the other hand, the basement provides additional space within the building. 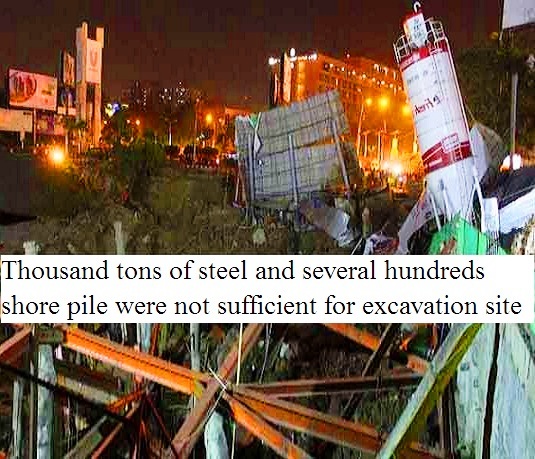 The caution, in addition to collapse of excavation site, should be provided to reconsolidation of soil. Reconsolidation means here to swell soil after removing over-burden pressure during excavation for basement construction and necessary steps should be adopted to avoid detrimental effects.